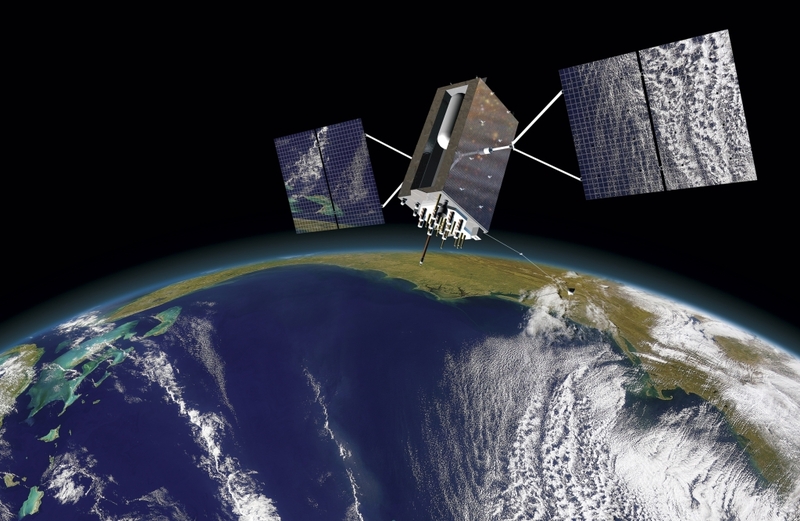 November 16, 2015 United Launch Alliance, a joint venture of Lockheed Martin Corp and Boeing Co, on Monday said it would not bid for the next U.S. Air Force global positioning system (GPS) satellite launch, effectively ceding the competition to privately held SpaceX. ULA, the monopoly provider of such launches since its creation in 2006, said it was unable to submit a compliant bid because of the way the competition was structured, and because it lacked Russian-built RD-180 engines for its Atlas 5 rocket. The Pentagon last month declined to issue a waiver from a U.S. law that last year banned use of the Russian engines for military and spy satellite launches. ULA had said it needed the waiver to compete against SpaceX, officially known as Space Exploration Technologies Corp, the only other company certified to bid for the work. Bids were due Monday and the Air Force expects to announce a contract winner in March. ULA Chief Executive Tory Bruno told Reuters that ULA also lacked the accounting systems to comply with the rules of the competition, which requires bidders to certify that funds from other government contracts will not benefit the GPS 3 mission. He also said the competition’s ‘Lowest Price Technically Acceptable’ structure meant officials could not differentiate between bids on the basis of reliability, schedule certainty, technical capability and past performance, effectively removing ULA’s greatest strengths from consideration. Prompted by Russia’s annexation of Crimea last year, U.S. lawmakers banned the use of Russian RD-180 rocket engines for military and spy satellite launches after 2019. Bruno told Reuters that ULA was disappointed that it could not compete now, but was studying potential sole-source awards and other options for future launch contracts. Bruno told reporters on October 2 that ULA did not have enough engines to bid for the GPS 3 launch, the first of nine military missions identified for possible competition. “We look forward to working with the Air Force to address the obstacles to ULA’s participation in future launch competitions to enable a full and fair competition,” he said in a written statement. In an interview with Reuters, Bruno also signaled that ULA would continue to press Congress for changes in the Russian rocket engine ban, and said he had not decided whether to mount a legal challenge to a potential contract award. ULA no longer had a two-year supply of engines in its inventory, Bruno said, noting that it skipped a regular order for the engines in January while awaiting a resolution on how many engines it could use for military launches. “We’ve been burning down through the inventory at a pretty high rate,” Bruno said. The congressional ban does not affect RD-180 engines used for NASA and commercial missions, but whenever ULA taps its current RD-180 inventory for non-military flights, it cannot order a replacement for later use on a military missions. The ban still affects 9 of 29 engines that ULA had ordered from Russia, but not paid for, before Russia annexed Crimea. Five engines that were approved for ULA’s use by Congress last year had already been assigned to other missions, and were not available for use in a bid for the new GPS launch, Bruno said. Congress is poised to approve the use of four more RD-180 engines in a compromise version of the fiscal 2016 defense authorization bill, but the bill has not yet been enacted into law, and bids were due on Monday. SpaceX founder and CEO Elon Musk last month said ULA’s threat to skip the Air Force competition was “nothing less than deceptive brinkmanship” aimed at subverting the will of Congress. Bruno said ULA’s board would vote in coming days on an order of additional RD-180 engines valued at “several hundred million dollars” for commercial and civil use.